IRDAI has not set any timeline for LIC to bring down its stake in IDBI Bank from the present 51 percent holding to the law mandated under-15 percent, according to senior official from IRDAI. According to the official the time-line for reducing its stake in IDBI Bank has to be decided by the LIC management itself as a regulator mandated time-line can impact stock prices. 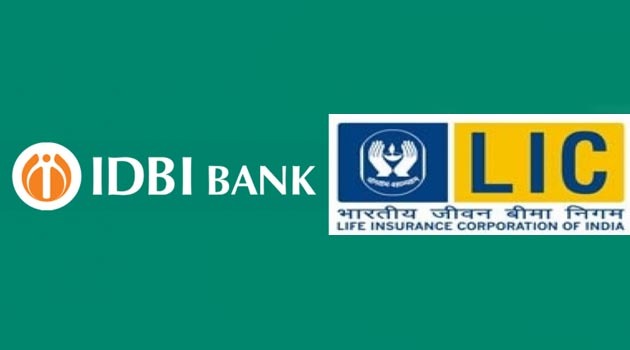 Recently LIC had announced completion of acquisition of 51 percent controlling stake in the IDBI Bank, which makes it the majority shareholder of the bank. On January 21, IDBI Bank had received Rs 5,030 crore from LIC and on December 28, 2018 LIC had pumped in Rs 14,500 crore capital into the bank as part of its takeover. After LIC’s takeover, rating agency Moody’s had upgraded IDBI Bank’s rating by two notches to ‘Ba2’ citing improved solvency of the bank following significant capital infusion and also revised the outlook to positive from under-watch category. “We have not prescribed (a timeline for LIC to pare down its stake in IDBI Bank to 15 percent from 51 percent) for the simple reason that if we prescribe a timeframe that every year LIC dilutes 10 percent stake then will it not impact the stock valuation?” IRDAI member (life) Nilesh Sathe told reporters at RMAI Risk Management Summit organised at Hotel Holiday Inn, Mumbai. He also said there is no conflict of interest in LIC investing in IDBI Bank which also has a life insurance joint venture in IDBI-Federal Life Insurance. “Has LIC bought stake or increased stake in IDBI Federal? No. The stake buying in the bank does not mean that LIC is the promoter of IDBI Federal,” Sathe said, adding the IRDAI law only prevents a promoter from floating/running/ investing in two insurance entities. “If LIC wants to start another insurance company then we will have objections. But in this case we don’t have to step in,” he argued. While addressing the event, he said the risks in insurance and banking are different. “Fundamentally, insurance risks are idiosyncratic and for the most part is independent of economic cycles. Large insurers are well diversified, geographically and also in terms of business. In contrast, bank-specific risks tend to be highly co-related with economic cycles,” he said.